No need to replace your car! Call us! 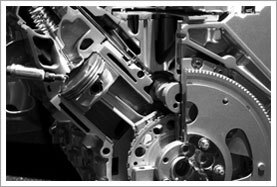 Quality... Only the highest quality remanufactured engines--not rebuilt for both domestic and import vehicles. The most stringent quality standards for maximum engine life. Warranty... Up to three years/unlimited nationwide factory warranty. Experienced Installation... We install hundreds of engines every year...We specialize in engines...using the right tools and equipment...and experienced installers. Fast Turnaround... Most jobs can be completed in a matter of days with advanced scheduling. We stock engines and have access to large inventories of standard and hard to find engines, along with same or next day delivery commitment from vendors. Value... Because we specialize, we can do the job right at lower costs and very competitive prices. Convenience... We are never more than a toll free call away and can arrange for towing and car rental if desired. The Best Engine Shop Anywhere! If a remanufactured engine is what you need, look no further than Dr. Motorworx. With over 30 years in the business, a team of experienced and knowledgeable staff and the highest quality of customer service, no one knows remanufactured engines like we do. Call Dr. Motorworx now and we’ll begin working with you right away to get your engine back in gear.